I'm not entirely sure why I'm as interested in the Touch Detective (Osawari Tantei in Japan) series as I am. After all, my copy of the first game, released for the DS back in 2006, is still sealed, and I've yet to even buy its 2007 sequel. I guess it's all due to the adorable protagonist, Mackensie (Ozawa Rina in Japan) and her just-as-adorable mushroom companion, Funghi. Regardless, the series has me by the balls at the moment, at least to an extent. Which is why I'm publishing a post about the box art that's been produced for the first three Osawari Tantei titles (the last of which was unveiled late last week). This third entry in the Osawari Tantei series hits Japanese store shelves on May 1, by the way. Hopefully we'll hear about a Western release in the next few months. 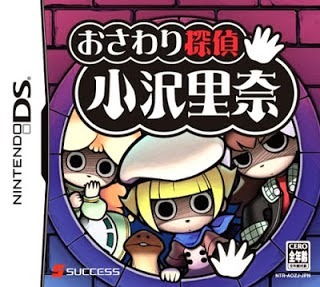 And if we do, I promise I'll not only unwrap my woefully ignored copy of the first Touch Detective, but pick up the second one, too--and play both of them before the 3DS sequel lands on our shores. In the meantime, I probably should state which of the three box arts seen above I like the best. My first thought is to go with the first one, due in large part to its simplicity. That said, I like the latest one, too--its soft colors, especially. How about all of you? Do you prefer one piece of Osawari Tantei cover art over the others? 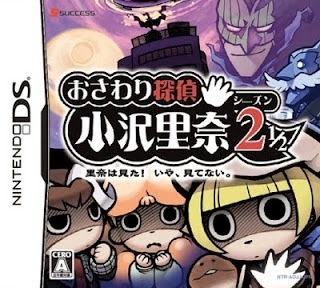 I couldn't tell you which box art is best, but what I can say is that that girl's got some creepy eyes. They bore right through your SOUL! So, uh, Success. They were the guys who made Zoo Keeper (B), right? I've seen their names floating around for a while now, but never really did much research on them. I'll have to rectify that. 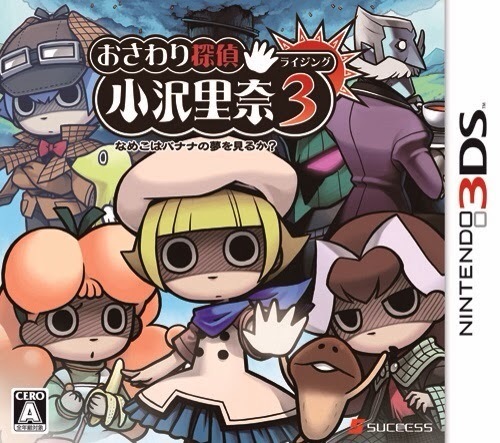 I hope that they will translate the third Touch Detective game into English. I love Nameko/Funghi! I hope that they will translate Osawari Tantei Nameko Daihanshoku as well. I noticed that Play-Asia already has the "priced down" Japanese version of that game available. I do not know if this is a good or bad sign. I think it's pretty likely will get the third Touch Detective game, Sakura. Both of the others have been released outside of Japan, so why not this one?